April is Heartworm Awareness Month, and a great time to highlight the importance of preventing this deadly disease in pets. 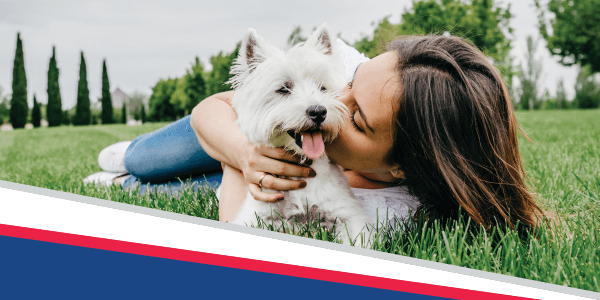 At Bell Veterinary Hospital, we carry many FDA-approved preventative products which can be given monthly as a topical liquid or as an oral tablet. These products protect you pets not only against heartworm, but against other parasites as well. Year-round prevention, especially in our warmer climate, is the best way to avoid those nasty heartworms. Making sure that your cat or dog is up-to-date on preventative medication is the number one thing you can do to protect your pets against this potentially deadly disease! If you’d like to learn more about this disease and how to prevent it, schedule an appointment with Dr. Bell today by calling 205-709-8286. When an infected mosquito bites a dog, the mosquito spreads the larvae of heartworms to the dog through the bite wound. For the now newly infected dog, it usually takes about six or seven months for the larvae to develop into adult heartworms, which then mate, causing the female to release their offspring into the dog’s bloodstream. Heartworm disease is not contagious and is only spread through the bite of a mosquito. Once inside a dog, a heartworm’s lifespan is five to seven years. Cats can get heartworm after being bitten by an infected mosquito, however they are not as susceptible to it as dogs are—the worms don’t thrive as well inside a cat’s body. Both indoor and outdoor cats are at risk for heartworm disease. Heartworms don’t live as long or grow as long in cats as they do in dogs, and fewer of the worms mature into adults. Cats with heartworm disease may have symptoms that resemble other feline diseases—these include vomiting, loss of appetite and activity and weight loss.